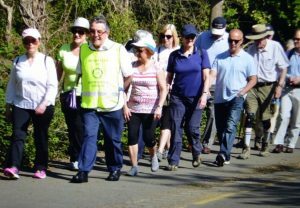 We have been invited to nominate walkers for the Shepperton & Sunbury Rotary Club sponsored 10k ‘Waterways of Shepperton’ walk on Sunday 5th May. All monies raised by our walkers will go towards ABC funds. Please contact us is you can walk for us, or if you would like to sponsor one of our walkers.